Jonathan Newell talks to Finnish company, Wirepas about overcoming the challenges of distributed sensor networking. Tens of billions of networked devices are being predicted by the end of the decade, many of which will be small sensors carrying tiny amounts of code and sending status, parameter values or conditions across the extended industrial Internet of Things (IoT). Although the contribution such devices make towards overall network traffic is small, they nonetheless have to find a connection and a route through the network to find the destination for the information they send. Choosing a single technology for sending that signal can cause problems with wireless outages or poor mobile network strength, particularly in remote areas. 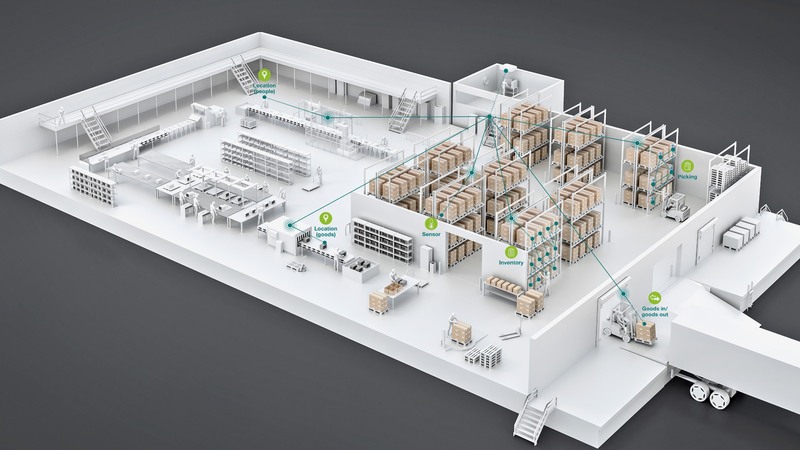 To overcome this, one Finnish company, Wirepas, has developed a method of achieving decentralised IoT using simple, hardware independent embedded firmware. The device to be connected only needs to be equipped with a radio frequency transmitter / receiver with antenna on which the Wirepas Connectivity stack firmware is loaded and connected to the device software using an Application User Interface (API). Wirepas Connectivity is a low memory footprint embedded software protocol stack enabling decentralised wireless networking. It is completely agnostic of the radio device hardware used or the frequency band. The radio transmitter and the Wirepas protocol stack enable the device to become a router and so can determine its own network path. I asked Wirepas’ Sebastian Linko how this works. “The devices constantly adjust their power, channel and topology to suit the prevailing conditions so the result is a high level of availability and reliability,” he told me. These devices can be sensors measuring machine parameters, tags providing stock information in a distribution environment, household smart meters or many other devices that have become associated with the Commercial IoT, the Industrial IoT and Industry 4.0. Often, such devices are remote and not well served by network resources or are in a crowded RF environment with large numbers of similar devices. According to Linko, such challenging environments provide Wirepas Connectivity with its advantage. “You can have an unlimited number of devices on the network because the operation is decentralised and all devices are able to route, you’re not constrained by network plans or backhaul capacity,” he explained. For remote areas, Wirepas overcomes lack of coverage through efficient spectrum usage and locally synchronised operations as well as independence from the physical layer. “All the protocol intelligence is implemented in the firmware and de-coupled from the physical layer so the device can run with any radio hardware on any frequency band,” he said. The same software supports a number of different applications such as sensors, beacons, asset tracking, lighting and smart meters. Linko explained that the company had recently been involved in the integration of its technology on smart meters with 700,000 of them having been installed in one Oslo network. “The device and the installation is simple in essence but it provides the utility with a lot of useful information, they don’t simply collect information for the purposes of billing,” he told me. In many parts of Europe, including the UK, smart meters use SIM cards that connect over mobile operator networks. In areas with poor network coverage, such meters can have trouble connecting and they also have the disadvantage of having a cost overhead associated with them due to the need for a network plan. In contrast, the Oslo network is equipped with smart meters able to perform DIY network topology, making the most efficient connection it can, which may be your neighbour or another meter several streets away…. and with no backhaul, there are no overheads. According to Linko, such flexibility is what’s needed to ensure high availability and high reliability in industrial IoT applications.